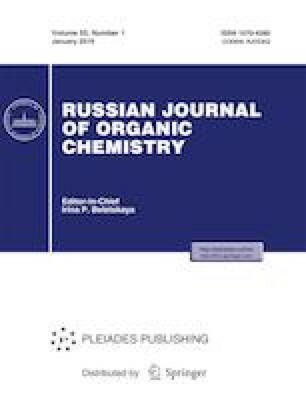 The effects of temperature, solvent nature, and high pressure on the rate of the Diels-Alder reaction of furan with N-phenylmaleimide were studied. A weak acceleration of the title reaction in proton-donor media was observed in comparison to other cycloaddition and ene reactions. The volumes of activation and reaction coincided within the experimental error, in keeping with the presumed cyclic transition state.